Which softphone you use may depend largely on why you want to use a softphone in the first place. 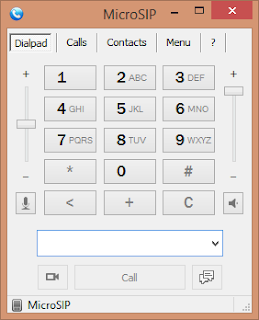 For example, if you are looking for an alternative to FOP (Flash Operator Panel) then I would suggest the excellent Dialplate application, but if you are just a normal desktop user looking for a cheap way to make use of your company's existing VOIP infrastructure, then have a look at these. When comparing features I will only be looking at the features available in the free version, and not the premium one where applicable. For a long time, Zoiper has been my weapon of choice a number of reasons. It is a well established name in the VOIP/Softphone arena and has excellent support. The default skin that comes with Zoiper very dark, which I don't personally like. There are however four skins included, which includes a light version of the default skin. With the default skin Zoiper has departed from the traditional approach of trying to mimic a desk phone. 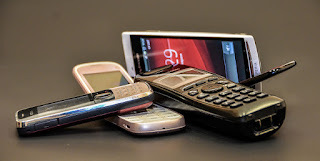 I personally love this, since traditional phones were designed to be operated with fat fingers punching bulky buttons, and that is not necessarily the best approach for a softphone. If you prefer a more traditional interface, Zoiper's powerful skinning system makes room for more a conventional approach. Menu options are fairly straightforward, and advanced features are not obfuscated behind complex menu structures. 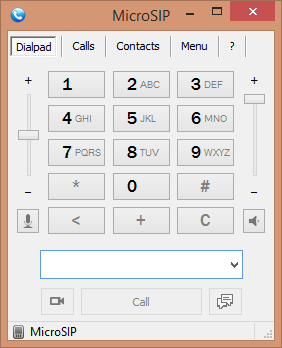 From starting installation to making my first VOIP call took less than five minutes. Configuration was simple and quick and everything was where you would expect it to be. 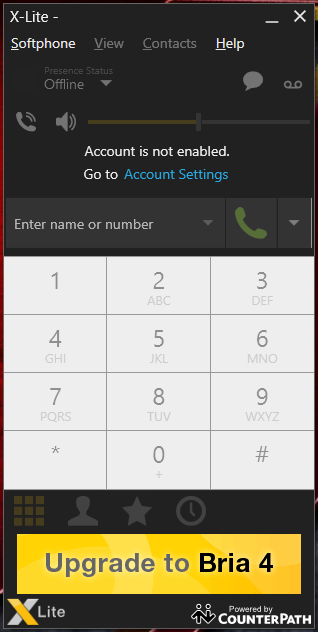 Since the default skin is optimized for use on a computer, rather than trying to emulate a desk phone, I was very pleased with how quickly I could access my recent calls, contacts and anything else I needed. Recording, transfer and conferencing considered "Premium"
X-Lite is the baby brother of Counterpath's excellent Bria Softphone, and you can definitely see the pedigree reflected in the free version. First impression is that it is a very clean and sleek looking interface. The ads at the bottom of the main interface are a bit distracting, but considering that it is a free product I can't really complain. The ads are also designed to compliment the interface rather than clash with it. Unlike Zoiper, X-Lite has no skinning options (that I could easily find), but I was extremely impressed with the interface as is, since it is sleek, not overly dark or light and has a pleasing flat appearance common since Windows 8 introduced the Metro Interface. 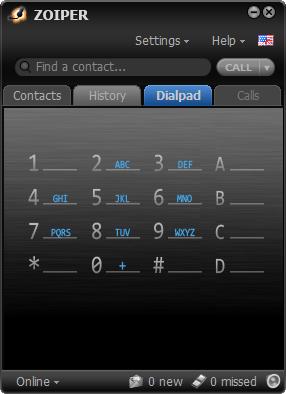 It also does not try to be a deskphone simulator, which I like a lot. The download was quite large, and the servers seemed slow when I was downloading, so it took me longer than I would have liked to get it going, but once it was installed, setup was a breeze. A link on the main window took me to where I needed to be to set up the account. Account setup was straightforward and had me chatting away within seconds. The inclusion of the G722 codec means that the quality of the voice call was superb, but do note that this is dependent on having a provider that supports G722 as well as adequate network bandwidth to support a wideband audio call. 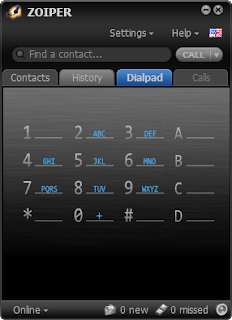 The contacts page is well laid out, and allows for contact grouping as well as setting favourite contacts. 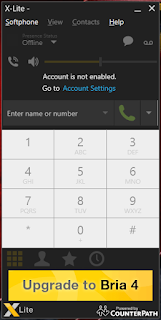 X-Lite also allows easy retrieval of voicemail if supported by your provider. For some reason it seems that interface designers are not keen on contributing to open source projects (with a few exceptions). MicroSIP's interface is strictly utilitarian, which is not necessarily a bad thing. It is what allows it to be as lightweight as it is, and despite being quite bland, it remains very usable. What MicroSIP lacks in beauty, it makes up for by being easily the best documented product in the list. Every configuration option is accompanied by a little link taking you to the MicroSIP help site that explains the option in detail. Configuration is not a problem either, and the simplicity of the program means that nothing is hard to find. Contact support is basic, bordering on spartan, but remais useable. Bannerizer makes it easy for you to promote ClickBank products by banners, simply go to Bannerizer, and get the banner codes for your chosen ClickBank products or use the Universal ClickBank Banner Rotator to promote all of the ClickBank products.